Now that I seem to have gotten all the hacker spam cleared away, I’m BACK! 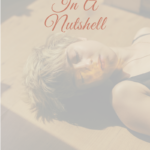 I’ve added a few things behind the scenes so hopefully that doesn’t happen again. 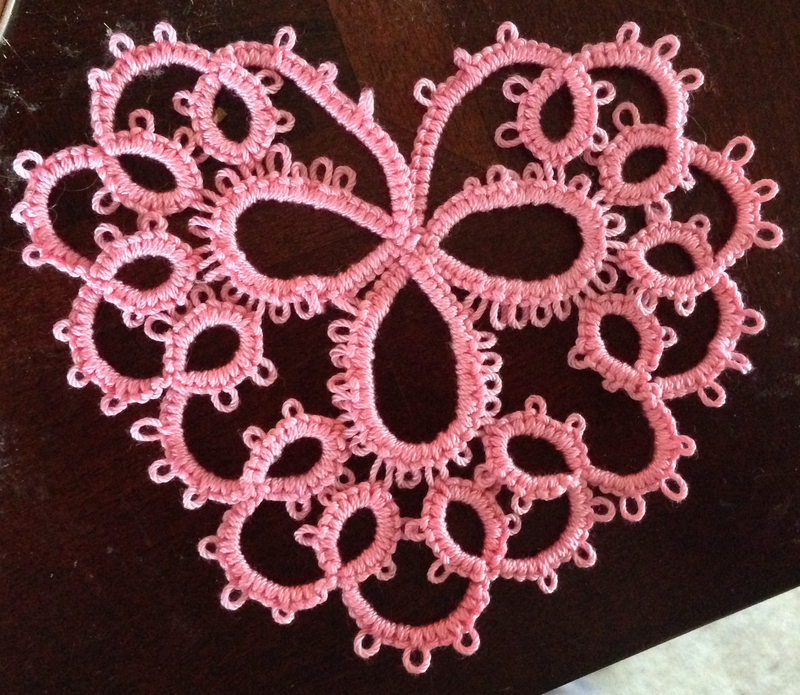 I stumbled upon an old-fashioned way of making lace a few years ago. 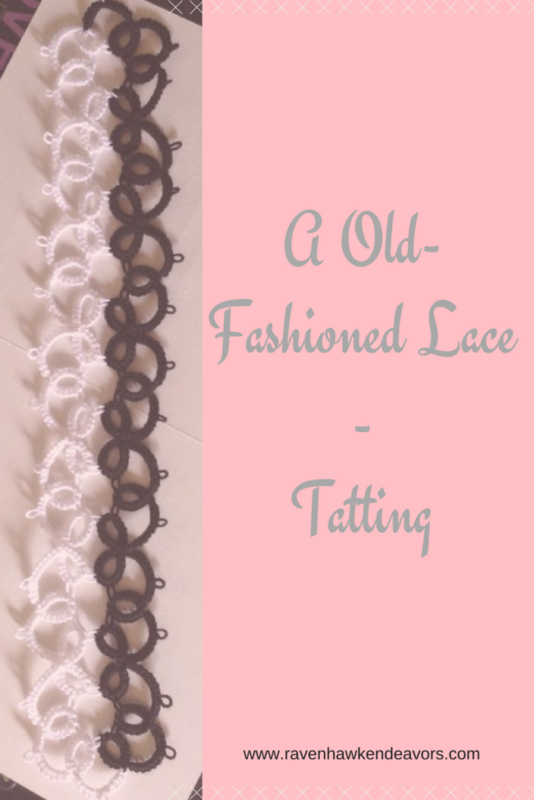 Tatting has been around for hundreds of years. The actual history of tatting seems to be a bit murky so I won’t get into it here. There are two ways to tat – and both side will argue about which side is the “correct” way. You can tat with a needle or a shuttle. I haven’t quite mastered the shuttle. I’m just not coordinated enough it seems. So I do all my tatting with a needle. 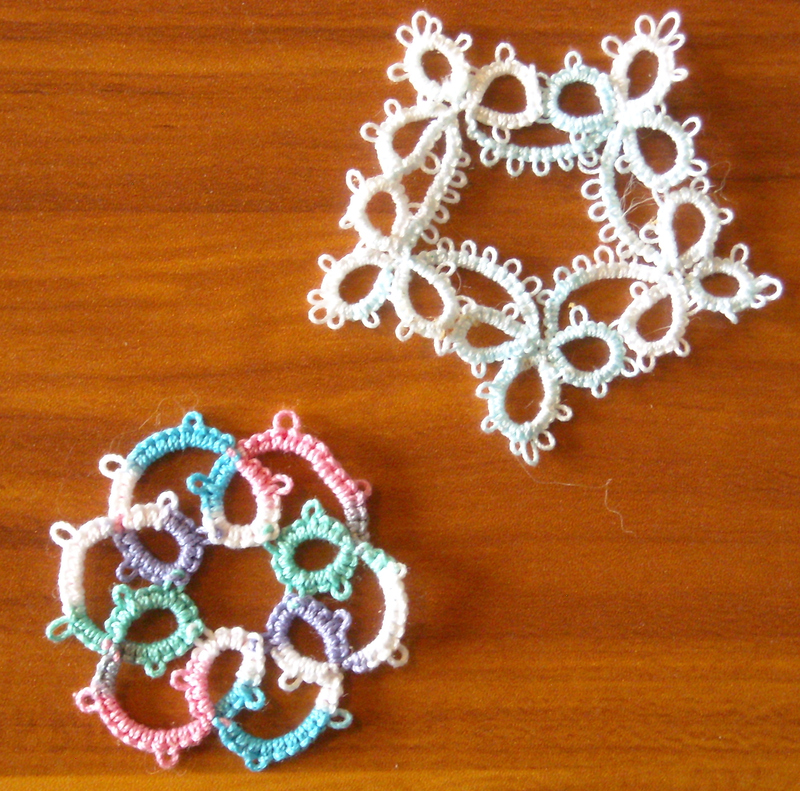 What tatting entails, with either means of doing it, is making lace from thread by simply making a series of knots, forming chains and rings and leaving picots. 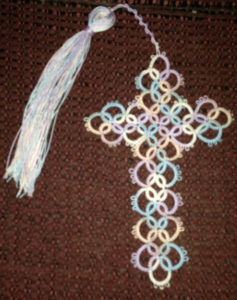 A great beginners book is Learn Needle Tatting Step By Step. Yes, this is a Needle tatting book. 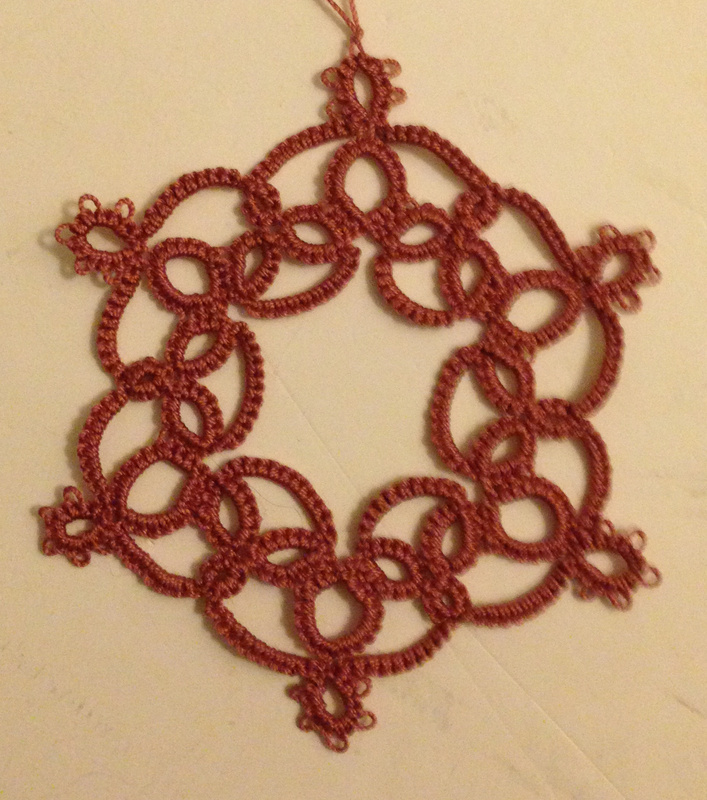 I haven’t used any shuttle tatting beginners books because I just haven’t gone to that technique yet. Here is a good site to go to for beginner tatting: Be-Stitched. She goes over some of the abbreviations on patterns and more. You’ll need either shuttles or needles, crochet thread or tatting thread, a small pair of scissors and needle threaders if you are using needles. Also a small crochet hook for hiding your ends. Here are my tools. As you can see, the thinner tatting needles are curved from the force of pulling them through the knots, as well as my heavy handedness in using them. This happens quite often, and I’ll most likely have to replace those smaller ones more frequently. There are different sized threads you can use. 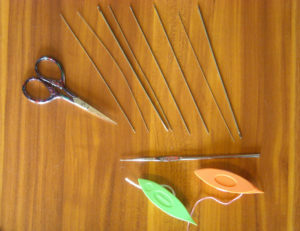 The larger the number on the thread, the smaller the diameter of the thread, and the more delicate the piece looks. I love working with size 20 and 40 thread. Lizbeth size 20 and size 40 comes in some lovely colors. I also use DMC Cebelia in size 20 and size 30. 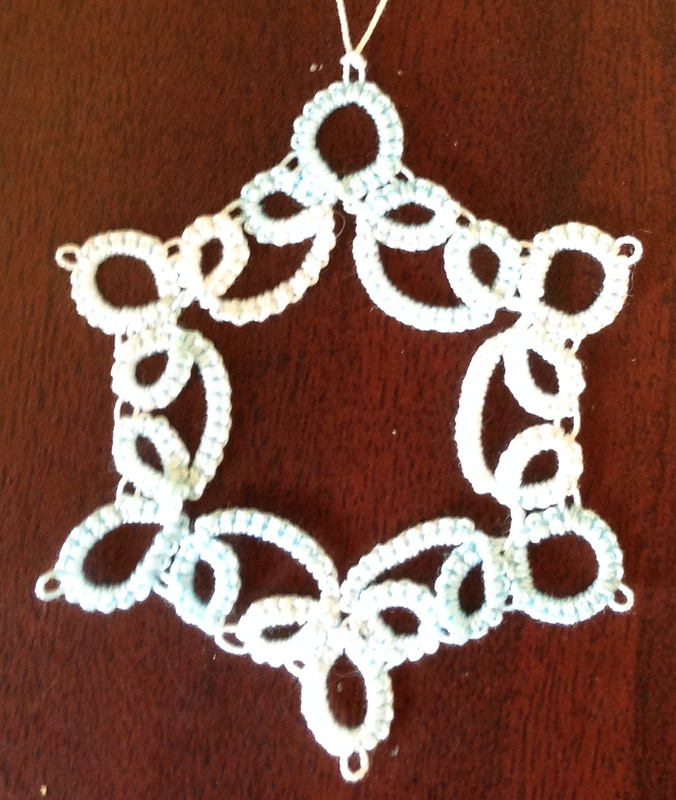 And for very very delicate pieces, I use DMC Tatting Thread in size 80. I have some DMC Crochet Thread in size 10 and 8 floating around and some Lizbeth size 3, as well as some excess size 3 from my late grandfather’s stash as well. To get started, you need patterns too. 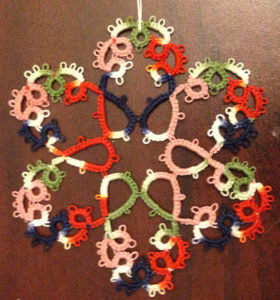 I got started with Be-Stitched’s Free Patterns. The good thing about her patterns is that as long as you don’t claim the design as your own you can make and sell the pieces. If you needle tat, you don’t have to look specifically for needle tatting patterns, as you can convert shuttle patterns easily to needle patterns. Georgia Seitz has an excellent explanation of how to do this here in Needle Tatting Part 3. Now to show you my progress since I started needle tatting. Here is my very first project, a bracelet. I did a couple bookmarks after that. I loved the black and white one. The butterfly one is actually a combination of a simple butterfly pattern and adding a few other things to it. I then moved on to doing little motifs and I love them. And the most recent completed projects were all Holiday presents a year or two back. 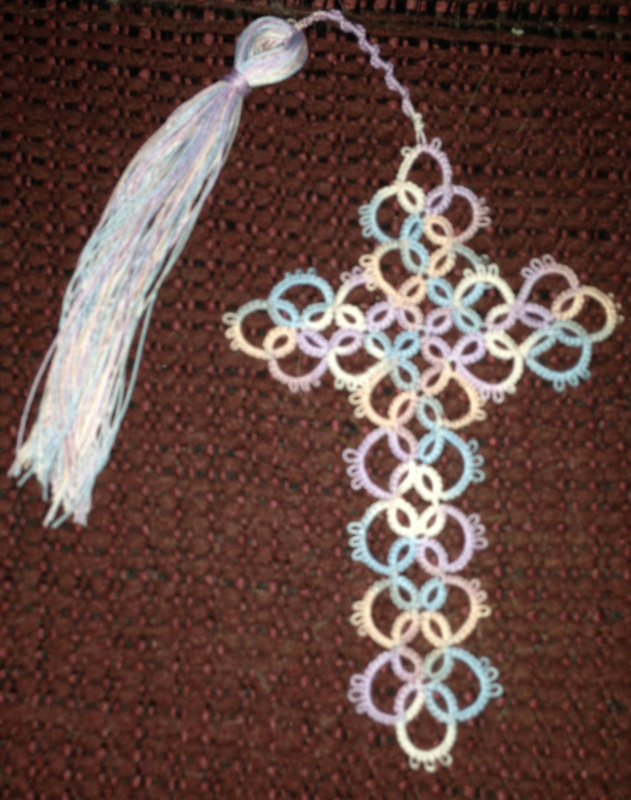 First a beautiful cross bookmark. Isn’t tatting just such a lovely lacework? 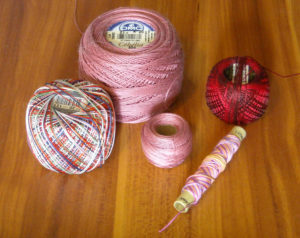 If you’re looking for other crafts to do, check out the Handmade With Love Super Bundle. And last but not least, you’ll get serious savings — over $1,000 worth of patterns, designs, and instructions for only $47. ★That’s a 95% discount on an incredible digital collection of 200+ patterns, projects, and step-by-step tutorials for literally months (or years!) of handcrafting bliss. 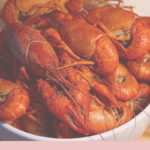 A few of the above links are affiliate links. I get a small commission if you purchase through those links, but there are no additional charges added for you. If you are not comfortable with that, please Google the items and purchase these items on your own. Another great site to get supplies from is Handy Hands Tatting.